DevOps (Development and Operations) is a software development and delivery process. DevOps focuses on communication and collaboration between product management, software development, and operations professionals. It is one of the fastest growing processes. DevOps has been implemented by Amazon, Netflix, Google, etc. Here are the best DevOps tutorials, best DevOps books & best DevOps courses to learn DevOps in 2019. DevOps Fundamentals: Gain Solid Understanding by Syed Raza and Syed Ali will teach you the DevOps fundamentals. You will also learn the entire DevOps software development lifecycle. This Beginner DevOps tutorial will start you with the DevOps basics. You will be introduced to a detailed DevOps curriculum. You will learn about the benefits of Continuous Integration (CI), continuous testing, and continuous deployment. This DevOps bootcamp will show you how to unify processes. It will improve your collaboration between development and operations. This DevOps training video will teach you valuable skills. You will learn concepts about agile, scrum framework and how they all fit with DevOps. Not only that, you will learn the popular DevOps toolkits and DevOps practices for implementing Release Management. This is the best DevOps tutorial for beginners in 2019. The Complete DevOps Engineer Course 2.0 – Java & Kubernetes by Syed Raza & Syed Ali will teach you how to become a DevOps Engineer. You will learn in-depth about Java programming topics like Methods, Classes, Objects, Constructors, etc. The basic concepts of Object Oriented Programming (OOP) in DevOps programming are explained. This DevOps video training will teach you about managing application containers, using Kubernetes. You will understand the Kubernetes Architecture and how to use it properly. Kubernetes (k8s) is an open source platform for automating container operations. It carries out DevOps tasks such as deployment, scheduling and scalability across a cluster of nodes. Kubernetes is one of the most popular DevOps tools. You will use and understand the Cloud Google Platform, namely Google Cloud Shell and Google Container Engine. Even WordPress and PHP is used in this DevOps video series. This is one of the best DevOps tutorials in 2019. Learning Path: Modern DevOps by Packt Publishing will make learning DevOps fast. This DevOps tools course will help you add configuration management, continuous deployment, and other DevOps techniques. You will gain an understanding of Git, Docker & Puppet and how they work as DevOps tools. You will learn how to use Docker, which is a very important and popular DevOps tool. Docker will allow you to achieve rapid application deployment, reliability and scalability. Docker also allows portability across machines and clouds. You will optimize your workflow bu making use of Git and it’s great features in your projects. Deploying and configure Puppet to use in your DevOps projects. This is one of the best DevOps tutorials. DevOps Interview Questions Preparation Course by KnowledgePowerhouse will teach you everything you need to get a professional DevOps job. You cannot get a high salary DevOps job without knowing these DevOps answers. You will learn all the DevOps best practices, DevOps concepts and DevOps benefits. DevOps tools like Chef, Puppet, Kubernetes, Jenkins, Docker, Ansible, and more are covered. Deployment Pipelines, Continuous Integration (CI) and Containers are among the DevOps topics that are explained. 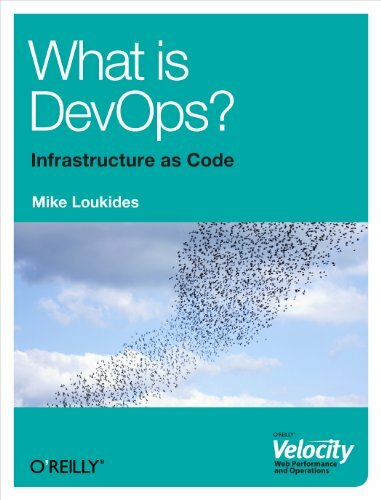 The DevOps questions and answers range from beginner to advanced level. This is the best DevOps job interview tutorial in 2019. The Complete Jenkins Course For Developers and DevOps by James Lee will teach you how to build automated continuous integration pipeline with Jenkins. This DevOps course for Jenkins will show you how to implement an automated continuous integration pipeline to build, test, analyze and deploy a web-based application with Jenkins. You will understand the concepts of continuous inspection, continuous integration, and continuous deployment, and the difference between them in this DevOps tutorial. DevOps skills such as setting up staging and production environment for continuous integration workflows are taught. You will build a multi-stage Jenkins job with Jenkins build pipeline plugin. This DevOps tutorial will teach you to configure and extend Jenkins functionality with Jenkins plugins. You will integrate continuous integration builds with other tools such as Java, GitHub, Maven and Tomcat in a more comprehensive software delivery strategy. This course will take your DevOps skills to the next level. This is the best DevOps tutorial for Jenkins in 2019. Docker Technologies for DevOps and Developers by James Lee will teach you how to develop and deploy web applications with Docker. This DevOps course for Docker will teach you in-depth Docker skills. You will be able to apply the right Docker deployment workflow and continuously deliver better software. This DevOps tutorial will teach you to scale Docker workflow with Docker Swarm. This course will teach you Docker best practices. You will gain invaluable DevOps skills such as setting up continuous integration workflows. This is one of the best DevOps tutorials for Docker in 2019. Learn DevOps: The Complete Kubernetes Course by Edward Viaene will teach you how to understand, deploy and use Kubernetes. This DevOps course for Kubernetes will show you how to run, deploy, manage and maintain containerized Docker applications on Kubernetes. You will learn how to build apps in containers using docker and how to deploy those on a Kubernetes cluster. Then you will setup your cluster on the cloud using AWS with this DevOps tutorial. You will be deploying a real-world app, WordPress with MySQL on Kubernetes. This will show you how to run stateless and stateful applications on Kubernetes. This is the best DevOps tutorial for Kubernetes in 2019. Learn DevOps: Infrastructure Automation With Terraform by Ted Horyczun will teach you how to use Terraform to automate DevOps infrastructure. Terraform is one of the best DevOps tools to learn. It is very likely you will need to master Terraform for a DevOps job. Generally, Ansible, Chef, or Puppet is used to automate the provisioning of software. Terraform follows the same principles and focuses on the automation of the infrastructure. Your whole Cloud infrastructure (instances, volumes, networking, IPs) can be described in Terraform. You will understand, use and apply Terraform. This DevOps and Terraform course will show you how to apply DevOps techniques using Terraform. You will learn to use Terraform with AWS. You will use Terraform with Packer to create custom images. This is the best DevOps and Terraform tutorial in 2019. DevOps: CI/CD using AWS CodePipeline & Elastic Beanstalk by Ali Rizavi will teach you automated continuous integration & deployment pipelines. This DevOps AWS tutorial will teach you how to conceptualize and design fully automated continuous integration & deployment pipelines. You will use AWS Elastic Beanstalk to deploy applications. You will use AWS CodePipeline to setup CI/CD pipelines. Then you will you will integrate custom builds and actions in AWS CodePipeline. You will learn how to add AWS Lambda functions in AWS CodePipeline. 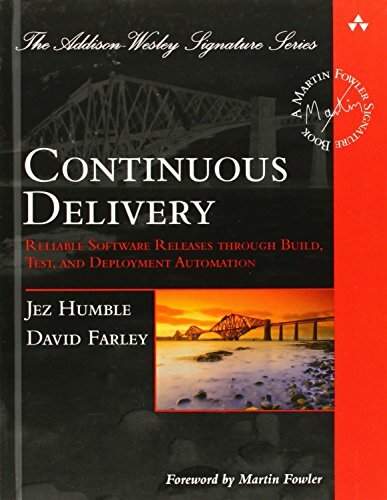 Automated Continuous Integration (CI) and Continuous Deployment (CD) is a critical and very important part of DevOps. This one of the best DevOps Continuous Integration tutorials. Learn Devops: Continuously Deliver Better Software by Edward Viaene will teach you how to apply DevOps in your team. You will make use of Git, Vagrant, Chef, Ansible, Jenkins, Docker, and Kubernetes. The DevOps course is aimed at software engineers and system administrators that want to deliver better software. You will learn how to improve the Software Development Lifecycle (SDLC) by applying techniques to improve software delivery. 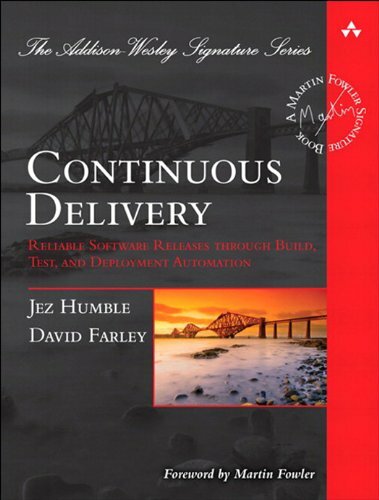 You will understand the benefits of Continuous Delivery. This DevOps tutorial will explain how to improve delivery using automation, configuration management, provisioning and deployment tools. DevOps best practices are also touched upon. You will automate using Ansible and Chef, two very popular DevOps tools. The apps you build will highly available and fully scalable. You will deploy microservices using Docker and Kubernetes, some of the best DevOps tools. This is one of the best DevOps Continuous Delivery tutorial. 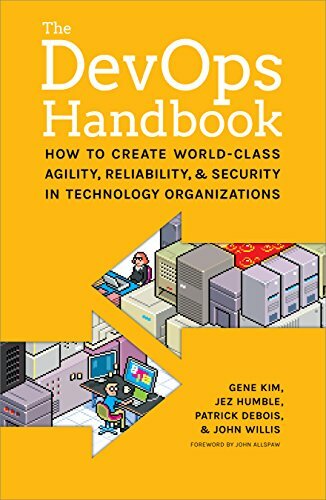 The DevOps Handbook: How to Create World-Class Agility, Reliability, and Security in Technology Organizations by Gene Kim, Patrick Debois , John Willis and Jez Humble is a book for anyone looking to transform their IT organization. 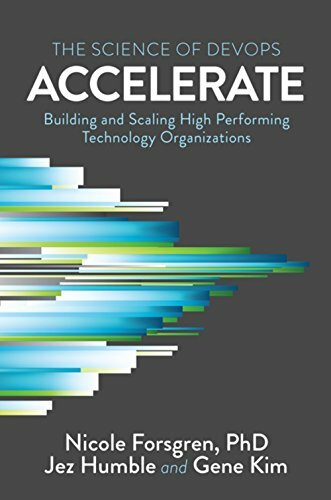 Written for anyone that wants to make serious changes through the DevOps methodology. 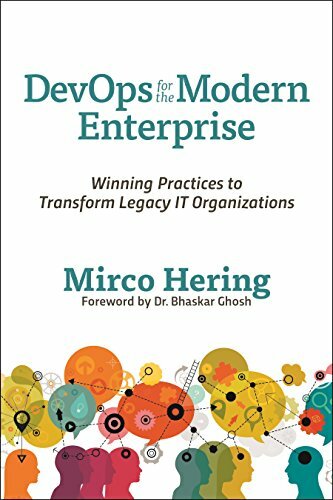 The book digs into the three foundational principles underpinning DevOps, now known as The Three Ways: Flow, Feedback, and Continual Learning and Experimentation. 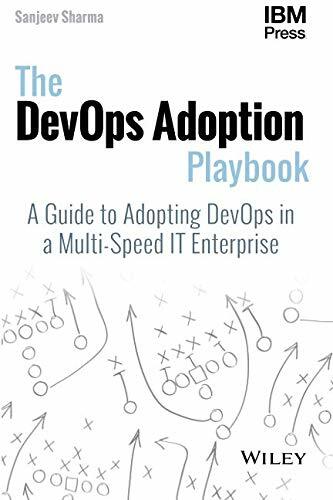 This DevOps guidebook has More than 40 DevOps case studies, including Amazon, Google, Facebook, etc. 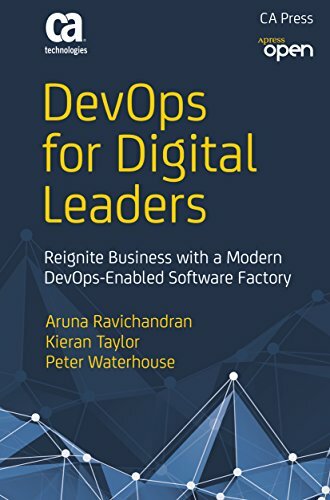 This is one of the best DevOps books in 2019. 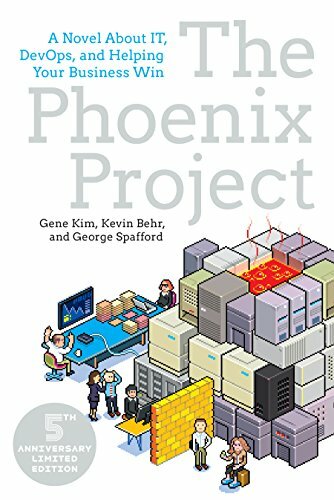 The Phoenix Project: A Novel about IT, DevOps, and Helping Your Business Win by Gene Kim, Kevin Behr and George Spafford describes the underpinning principles that all the DevOps patterns can be derived from as ‘The Three Ways’. It is intended to describe the values and philosophies that guide DevOps processes and practices. The First Way is left-to-right flow of work from Development to IT Operations to the customer. The Second Way is the constant flow of fast feedback from right-to-left at all stages of the value stream. It amplifies it to ensure that we can prevent problems from happening again, enable faster detection and recovery. The Third Way is about creating a culture that fosters two things: continual experimentation and repetition. This is one of the best DevOps books and is a DevOps classic. Lead Time: Time it takes to fulfill an order. Deployment Frequency: Small batches mean higher deployment frequencies. Mean Time to Restore (MTTR): How you recover from failure. 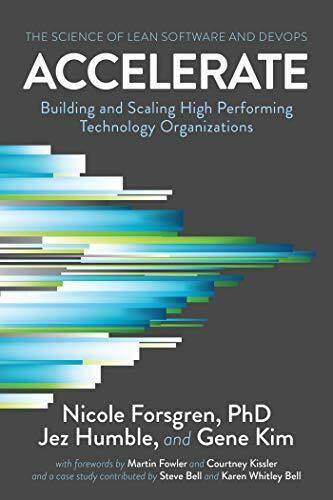 This is one of the best DevSecOps books in 2019. 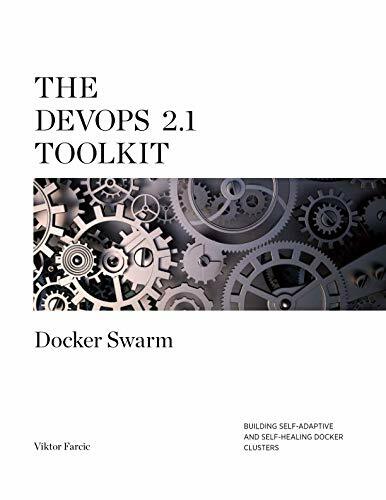 The DevOps 2.1 Toolkit: Docker Swarm: Building, testing, deploying, and monitoring services inside Docker Swarm clusters by Viktor Farcic teaches you all aspects of building, testing, deploying, and monitoring services inside Docker Swarm clusters. This DevOps ebook will then take you through all the tools required for running a cluster. You will also work with different hosting services like AWS, Azure, DigitalOcean, etc. 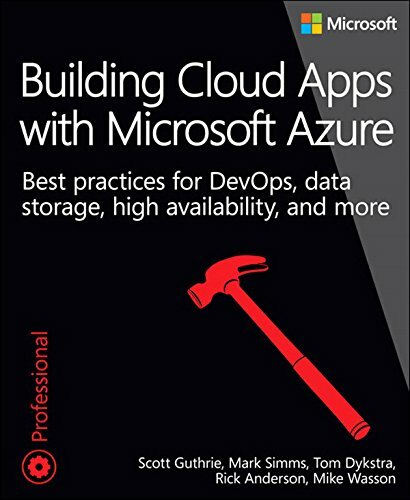 This is one of the best DevOps books for tools. 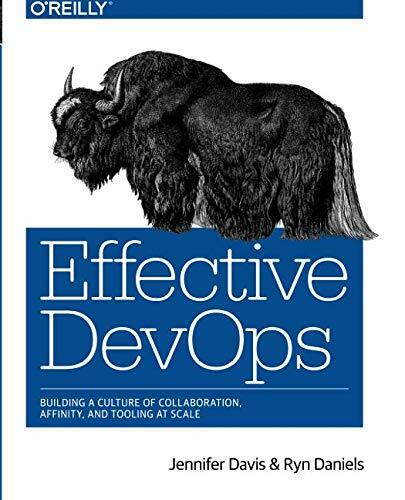 Effective DevOps: Building a Culture of Collaboration, Affinity, and Tooling at Scale by Jennifer Davis and Katherine Daniels will teach you why DevOps is a professional and cultural movement that calls for change from within. You will explore the foundations of DevOps and learn the four pillars of effective DevOps. 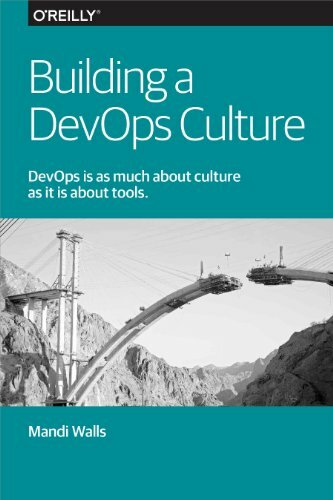 This DevOps guidebook will make you learn DevOps from case studies. You will learn how to troubleshoot common problems and misunderstandings in DevOps. 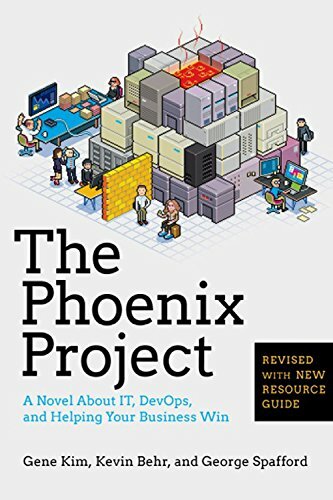 This is one of the best DevOps books for casestudies. 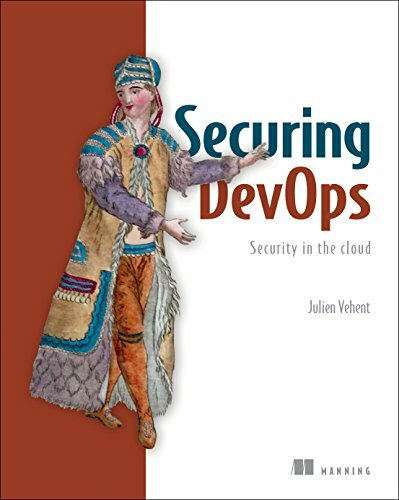 by Julien Vehent will teach you DevOps security. You will learn the latest techniques to secure cloud services and web applications. 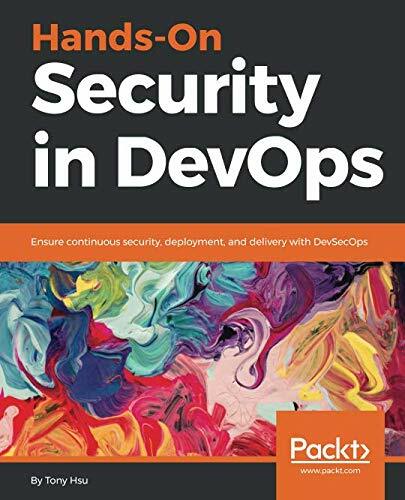 This DevOps secuirty book will teach you the core concepts of DevOps including continuous integration, continuous delivery, and infrastructure as a service. Packed with complelling DevOps case studies, you will learn step by step how to build security into ytour DevOps processes. You will learn how to make your DevOps safer at scale. Techniques needed to identify, assess, and secure vulnerabilities of cloud deployments and automation tools are taught.